Last Friday was a good news day and also a sad news day for charities. 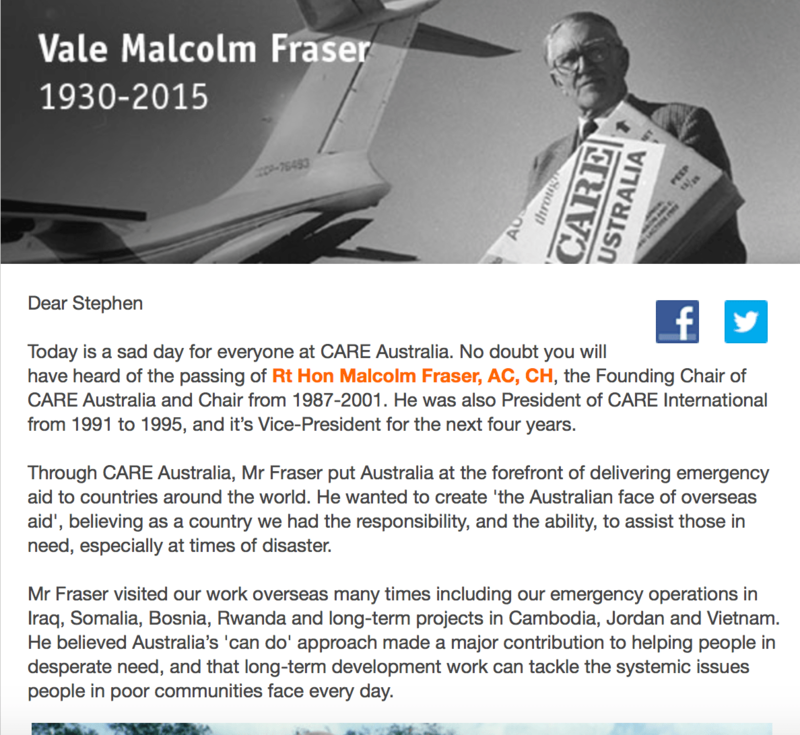 I received two emails from charities announcing the death of former Prime Minister Malcolm Fraser. I also received an email from one charity announcing the birth of a baby gorilla. 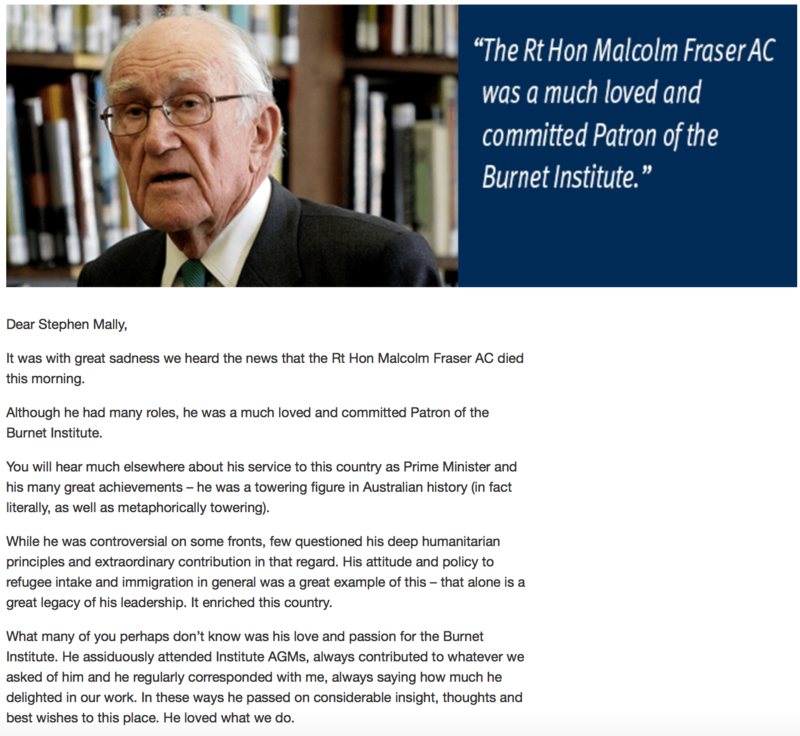 CARE Australia and Burnet Institute sent email obituaries announcing the death of the Prime Minister and Zoos Victoria sent an email about a happier occasion at the zoo. Although unrelated to one another, all three organisations used electronic communications effectively to get the word out and to describe the importance of these occasions to their organisations. CARE Australia and Burnet spoke about the importance of Mr Fraser to their organisation (the Prime Minister held leadership roles with both) and Zoos Victoria gave us an occasion to smile by informing us what this new addition means to the zoo’s world-class collection.